Happy holidays everyone and I hope you are enjoying the break. I have decided to take a week’s respite, from writing the third book in my YA Urban Fantasy series, ‘Split Blood’, to catch up with author interview and guest post requests. I am looking forward to discussing my writing experience, so far, with the ups and downs I have encountered throughout my self-publishing journey. I started writing when I was in high school because I loved creating magical worlds and characters with super human abilities but put this passion to one side when other commitments took over (college and university). I decided to return to writing approximately ten years ago, when it was possible to publish my own work, and I signed up to Amazon Kindle and Smashwords to publish my first YA Fantasy prequel novella, ‘The Orcus Games: Blood Moon’. I love the freedom this genre gives me and now I have a little more free time, I have decided to devote it, to complete the rest of the ‘Split Blood’ series, along with a creating few surprises which will hopefully enhance the readers experience and allow them to delve deeper into the ‘Split Blood’ world. What have been the positive aspects of self – publishing? When I started writing the first book, I honestly did not think past finishing the story. I was more focused on creating strong characters, showing they’re difficult evolution and creating a believable magical fantasy world. It was when I started to research the self-publishing process that I became excited about the amount of input I had in promoting and marketing the novels, communicating and networking with a vast array of people (readers, fans, bloggers, etc.). What have been the negative aspects of self-publishing? I love being a self – published author because I get to experience everything first hand but there are times that I feel I would love to have a literary agent so that I can solely focus on the writing and leave the marketing and promotion to a professional. Any advice for new authors going down the Self-Publishing route? I still feel fairly new to this industry, so I can only base any advice on what I have learnt so far. · Do not spam blogs, social media and other book related sites with links to your work. Talk about your interests too and allow the reader to know the person behind the great stories. 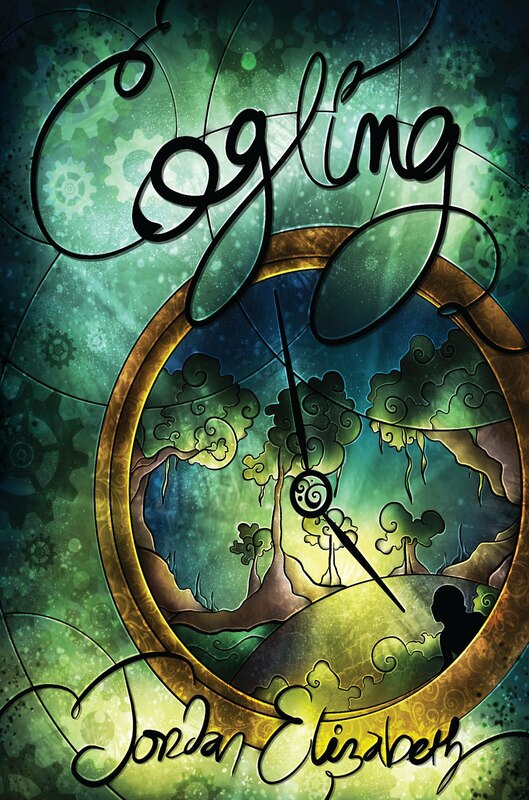 COGLING has already gained advanced praise from NY Times Bestselling author Maria V. Snyder! Check out COGLING on GoodReads and Curiosity Quills. Meet the author – Jordan Elizabeth Mierek lives in a dream world. Sometimes she comes out to do her day job, but most of the time she is writing about her favorite people – her characters! COGLING is her fourth book. Her previous steampunk series, the Treasure Chronicles, include TREASURE DARKLY and BORN OF TREASURE. Her debut novel, ESCAPE FROM WITCHWOOD HOLLOW, is a young adult fantasy-horror. You can find her short stories in numerous anthologies. Check out her website, JordanElizabethMierek.com, for contests and bonus stories! The Odyssey Writing Workshop is widely considered one of the top programs in the world for writers of fantasy, science fiction, and horror in the world. Writers from all over the world apply. Only fifteen are admitted. Fifty-nine percent of graduates go on to professional publication, and among Odyssey's graduates are New York Times bestsellers, Amazon bestsellers, and award winners. A video compilation of graduates describing their Odyssey experiences is available here: http://ow.ly/UWiD3. Odyssey is for writers whose work is approaching publication quality and for published writers who want to improve their work. The six-week program combines an advanced curriculum with extensive writing and in-depth feedback on student manuscripts. The director and primary instructor, Jeanne Cavelos, was nominated for the World Fantasy Award this year for her work teaching and running Odyssey. Top authors, editors, and agents have served as guest lecturers, including George R. R. Martin, Jane Yolen, Robert J. Sawyer, Nancy Kress, Ben Bova, Holly Black, Catherynne M. Valente, and Dan Simmons. This summer's workshop runs from JUNE 6 to JULY 15, 2016. Class meets for over four hours each morning, five days a week. That time is split between workshopping and lectures. While feedback reveals the weaknesses in students' manuscripts, lectures teach the techniques necessary to strengthen them. In-depth lectures provide advanced insights into the elements of fiction writing. Students spend about eight hours more per day writing and critiquing each other’s work. The program is held on the beautiful campus of Saint Anselm College in Manchester, NH. Saint Anselm is one of the finest small liberal arts colleges in the country, and it provides a peaceful setting and state-of-the-art facilities for Odyssey students. College credit is available upon request. The early action application deadline is JANUARY 31, and the regular application deadline is APRIL 8. Tuition is $2,025, and housing in campus apartments is $850 for a double room and $1,700 for a single. Odyssey graduate Sara King is sponsoring the Parasite Publications Character Awards this year to provide financial assistance to three character-based writers wishing to attend. The awards provide three scholarships in the amounts of $2,025 (full tuition), $500, and $300. They will be awarded to the three members of the incoming class who are deemed extraordinarily strong character writers, creating powerful, emotional characters that grab the reader and don't let go. Several other scholarships and a work/study position are also available. Jeanne Cavelos is a best-selling author and a former senior editor at Bantam Doubleday Dell Publishing, where she won the World Fantasy Award for her work. As an editor, Jeanne gained a reputation for discovering and nurturing new writers. She provides students with detailed, constructive critiques that average over 1,500 words each. She also meets individually with students several times over the six weeks to discuss their progress and explore ways in which their writing process might be altered to improve weak areas. These discussions often lead to breakthrough insights. "Odyssey required six weeks of complete humility, energy, creativity, but gave so much back in terms of insight, strength and positivity. I believe that Jeanne has not only opened amazing doors of skill, but also doors to self-confidence and to realms of possibility. There is no limit to the gratitude I owe her, and I hope I can go on to show my gratitude by implementing all of the things she taught me and continuing to grow as a writer." "Odyssey is the single best thing I've done for my writing. The program is rigorous and empowering and offers the most comprehensive introduction to creative writing and fantastic fiction that I can imagine. Jeanne is brilliant: she is encouraging and thoughtful and she has an outstanding ability to analyze and conceptualize stories and to share those insights with students. I cannot recommend Odyssey highly enough." Mary Robinette Kowal is one of the most highly regarded teachers for writers of the fantastic. 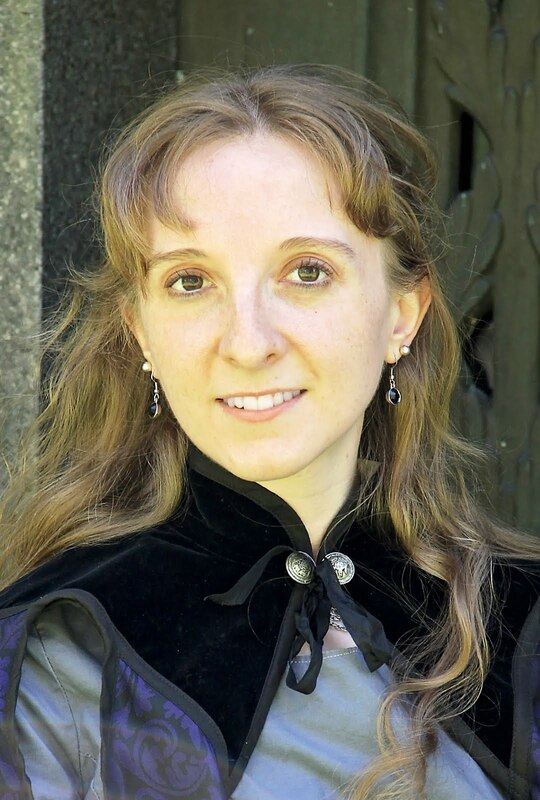 Mary has received the Campbell Award for Best New Writer, three Hugo awards, and the RT Reviews award for Best Fantasy Novel. Her work has also been a finalist for the Hugo, Nebula, and Locus awards. She is the author of The Glamourist Histories series of fantasy novels. Her stories have appeared in top magazines and in several Year's Best anthologies as well as in her collection Scenting the Dark and Other Stories. Lecturers for the 2016 workshop include some of the top teachers in the field: New York Times bestselling author Meagan Spooner; award-winning authors Patricia Bray, N. K. Jemisin, and Deborah DeNicola; and award-winning editor and publisher Scott H. Andrews. Recent novels by graduates of the Odyssey Writing Workshop include This Shattered World by Meagan Spooner and Amie Kaufman, published by Disney-Hyperion; The Thickety: The Whispering Trees by J. A. White, from HarperCollins; Unforgettable by Eric James Stone, from Baen Books; Low Midnight by Carrie Vaughn, published by Tor Books; and Vacant by Alex Hughes, from Roc. Odyssey graduates have had short fiction published in the top magazines in the field: Fantasy & Science Fiction, Analog, Asimov’s, Weird Tales, Lightspeed, Clarkesworld, Intergalactic Medicine Show, and many more. The Odyssey site, www.odysseyworkshop.org, offers many resources for writers, including online classes, a critique service, consultations, free podcasts, a monthly discussion salon, writing tips, and a blog. Those interested in applying to the workshop should visit the site or e-mail jcavelos@sff.net.